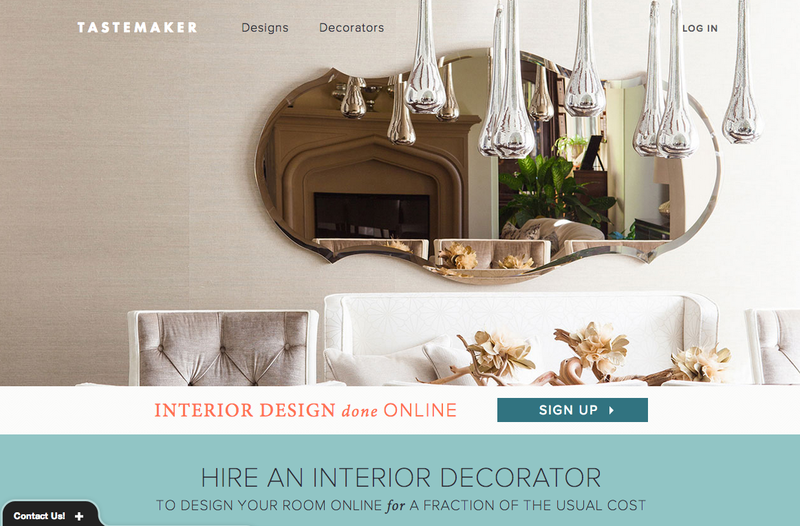 Last week marked the official launch of Tastemaker, an online service that connects designers with homeowners, and offers a turnkey decorating process. The site is available for San Francisco, Los Angeles and New York. Additional cities will be announced in the coming months. The first step, Meet a Decorator, asks users to submit a Room Brief. Tastemaker will handpick three professional decorators who fit the style and budget outlined in the Brief. The selected decorator will respond with a vision for the space and a flat-rate quote. Finally, the customer hires the decorator and the project begins. After further consultation with the homeowner, the designer creates a scheme and delivers a Tastemaker Design Box with floor plans, paint colors, detailed product info, and any additional instructions the client will need to finish the room. The client has the opportunity to make the new design a reality by purchasing any or all of the suggested furnishings from Tastemaker. 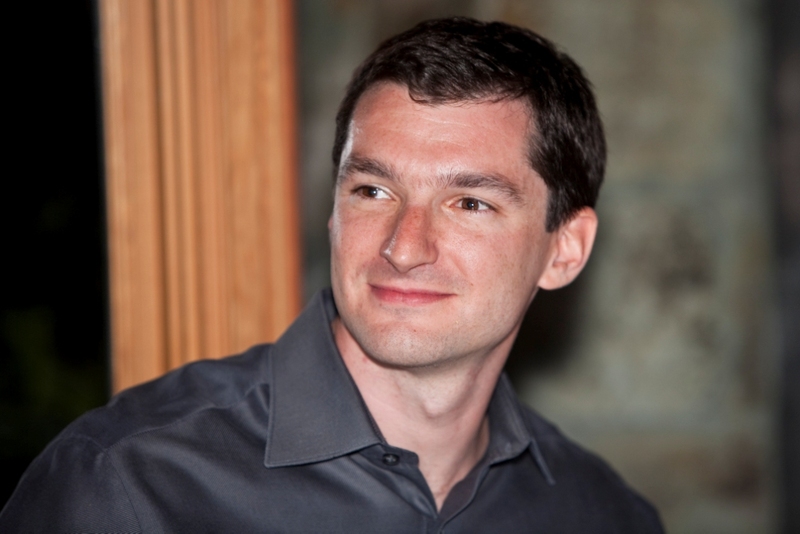 Editor at Large interviewed Tastemaker’s CEO and co-founder Joe Fraiman, who has a background in software engineering but calls himself a “design junkie.” He created the site with co-founders Esther Park, Juan Vasquez and Kyle Larson—none of whom have a background in design. EAL: Where did you get the idea for the site? JF: Tastemaker began with four friends who had a common problem: we loved home design, but we couldn’t create our own dream homes. Kyle designed his own home from scratch. It came out perfectly, but he couldn’t get the furnishings quite right. Juan loved to hunt for unique pieces for his home, but it was time consuming, and he felt like he’d never have a complete apartment. Esther loved to shop for home products online. But she had a hard time editing her ideas and pulling everything together into a cohesive design. Joe hired an interior decorator to help him, but the cost ended up being way too high. We all thought there should be a better solution that would work for each of us, but we couldn’t find one. So we decided to build it. EAL: How did you begin to pull the business together? JF: We started by finding customers and matching them manually with designers. We had no website, we just did everything over email and by phone. We experimented with a number of different ways of connecting people and in the process we learned a lot about what worked and what didn’t. At the same time, we were designing and building our initial website. As the website took shape we shifted more and more of our process online, and again we tried different approaches to see what worked best. Along the way we raised venture capital and built a team of people to work with our designers and our customers. Now our team is 58 people, mostly designers, and we’re still growing. EAL: What are your hopes for the site in the near term and the long term? JF: In the near term, we’d like to become the go-to place for designers to come to find great new projects, and we’d like to expand to work with clients all over the US. Long term, we’d like to build a platform and a community to help designers do more of the work they like and less of the work they don’t like, at every point in their career. EAL: What other directions do you see the site taking? JF: We always want to be focused on solving problems for our two key groups of customers—designers and clients. For designers, initially that meant connecting them with more customers and handling things like payment processing and marketing. In the future we’d like to give them tools to help them find products faster and help them create their design artifacts faster. For customers, we want to expand to be able to work in more cities and give customers access to designers from all over the world. EAL: What is the biggest benefit of using this site for the consumer? For the designer? JF: For the consumer: it saves them time and money. If they don’t want to go down the road of hiring a professional designer in the traditional way, perhaps for cost reasons, yet don’t have time or skills to do it all themselves, Tastemaker provides the happy medium. And it allows them to get a design quickly—in as little as two weeks. For the designer: it brings them an additional source of income. Our designers like the fact that we are out there marketing their services and finding them customers, then removing many of the tedious administrative parts of the process so they can focus on the creative design itself. They see this as a great way to maintain their business between large projects and many of them love getting to work with different types of clients. EAL: Who are the main users of the site? JF: Anyone who wants help decorating his or her home. We’ve had bachelors, young married couples, families and career couples all use our service. 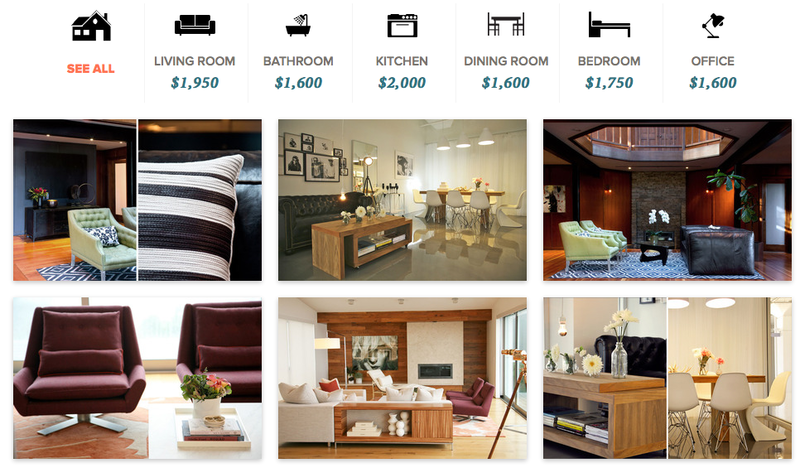 With Tastemaker, users can get the help of an interior decorator at approximately 80% less than the cost of a traditional design service. Custom mood boards cost only $25 and complete design packages start at $400 per room. For decorators, Tastemaker is a source of new clients and a way for them to focus on the most creative part of the role—the design itself—rather than administration or purchasing. Tastemaker’s 30 decorators are all experienced, in-demand professionals and represent a wide range of styles.